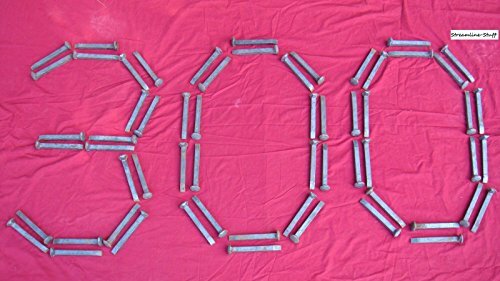 300 Large Variety Carbon Steel Railroad Spikes 6.5"
Great For Knives, Tent/Tarp Hold Downs, Crafts, Custom Coat/Towel Hangers, Art Projects, Railroad Collectors, Etc. If you have any questions about this product by US Rail, contact us by completing and submitting the form below. If you are looking for a specif part number, please include it with your message.